Do like to hire an architect in London area ? looking for top architectural practices London ? Large or small architectural firms in London ? Whether it is residential or commercial, here you can find a comprehensive list of well established architectural companies based in London, UK. 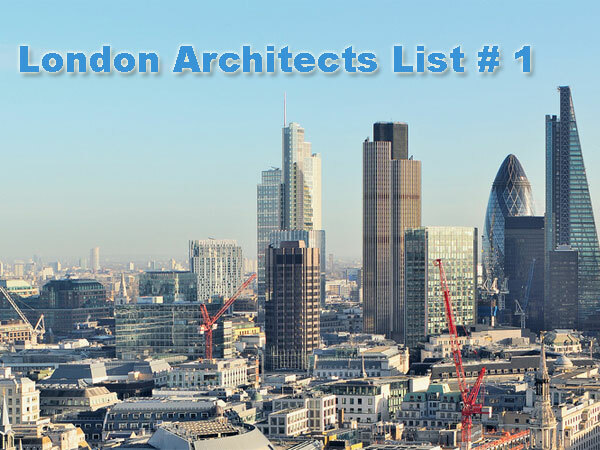 List represents 100 British architect companies address, phone number and website address. Architect firm in North London. The Chartered Practice Architects Ltd.
Rogers Stirk Harbour + Partners LLP. Residential architectural designer in North London. London, Hampstead NW3 5QU, UK. Berman Guedes Stretton BGS Architects Ltd.
Warnford Court 29 Throgmorton St.
London, SE1 0EH, United Kingdom. Architect firm in North London. Specialised in residential, public and commercial Architecture, Design and Planning. Finchley Central, London N3 1HF, UK. Putney, London SW15 2NQ, UK. Architect & Surveyor North London in North London, England. Page updated : 26th April, 2017.